This November, Maine voters will cast votes on a fundamental change in how we elect those who seek to represent us in state and federal offices. The referendum on ranked-choice voting, Question 5, seeks to change our current system and replace it with a different one in which we rank the candidates running for one office according to our individual preferences. As a political scientist, I am often asked my opinion on particular campaigns. I usually answer with what I think as an informed citizen, couching my answer in political science terms, because my profession has little to say about a great many issues. When I do that, I often feel that I am duping those who read or hear my opinions. Am I really stating more than my own political preference and trying to convince others to share it? In this case, however, my profession has a great deal to say about the impact of ranked-choice voting. Political scientists in the United States and in Europe have seen it in action and studied it. Let’s start by stating what ranked-choice voting does. Under a ranked-choice voting system, voters rank candidates as their first choice, second choice and so on. If no candidate receives a majority of first-choice rankings, the last-place candidate is eliminated, and voters who ranked that candidate as their first choice have their ballots instantly tabulated for their second choices. The process is repeated until one candidate reaches a majority and wins. The clear goal of the system is to produce a winner with the support of the majority. Some say that proponents of ranked-choice voting in Maine are concerned because Gov. Paul LePage won his first election in 2010 with only 39 percent of the vote. While true, proponents have also made it clear that they are troubled by results in nine of the last 11 elections for governor, since 1974, in which two Democrats, two independents and two Republicans have all been elected with less than 50 percent of the vote. So what do political scientists see as the effects of ranked-choice voting? First, let’s look at findings that were critical of ranked-choice voting. One study by Jason McDaniel, an associate professor of political science at San Francisco State University, looked at two elections in San Francisco and concluded that ranked-choice voting favored wealthy, more educated voters over poorer, less educated, largely minority voters. That study has been widely criticized for two main reasons. First, it deals with only two elections, not a wide range. Second, more importantly, it does not consider the context of the elections; that is, how competitive they were, what issues were discussed and so on. When the comparison elections that he studied were viewed in context, the negative effect of ranked-choice voting disappeared. A number of other scholars, going back to the 1980s, raised a technical complaint against ranked-choice voting, showing that the system did not result in a majority winner in some cases. Political scientists can be nitpickers. That critique, while accurate, is irrelevant according to most who have studied elections. Again, context matters. We judge elections by who votes, not by who does not vote. A majority of those who participate in ranking the candidates elect the winner under ranked-choice voting in the final round of tabulation. Against these two minor critiques, the vast majority of political science research on ranked-choice voting evaluates it positively — not as the savior to make all elections perfect, but as a reform that improves specific elements of the electoral process. First, a number of studies, most recently in San Francisco, but over the years in many places, show that voters quickly understand ranked-choice voting and have little difficulty in ranking candidates. There is a link between interest in politics and ease in using ranked-choice voting, one that is hardly unexpected, but the vast majority in every study have no difficulty. Second, careful studies by Caroline Tolbert of the University of Iowa, Todd Donovan of Western Washington University and others in the U.S. and in Ireland, where ranked-choice voting has been used for many years, show that elections under ranked-choice voting are more civil and that there is more cooperation among candidates and campaigns than in a system like the one we use. Third, a study by David Kimball of the University of Missouri-St. Louis shows, with an admittedly small sample of elections, that ranked-choice voting increases voter turnout in local elections. He shows this over a number of different locales, but is careful not to generalize further than his data allow. These political scientists — and many others — writing for professional journals and review by their peers, are not arguing for or against ranked-choice voting. They are trying to determine its effects. 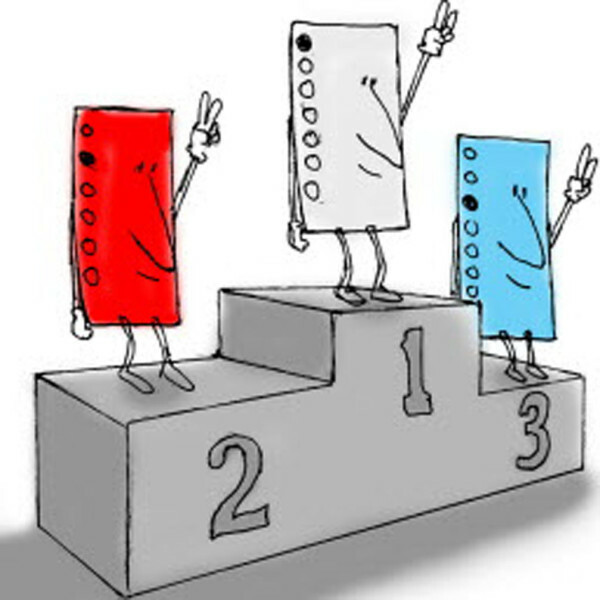 They do not argue that ranked-choice voting is the best or the only reform to improve our electoral system. But what they do say is that it works to have some of the beneficial consequences its proponents seek — increased turnout, majority winners, less incivility, the elimination of “spoiler” candidates — without the obvious negative consequences some opponents fear. Their conclusions are worth considering. L. Sandy Maisel is the William R. Kenan Jr. Professor of Government at Colby College.